At the edges of our Grey Woods are several places where ‘vernal pools’ form. As a result, these spring evenings are alive with the peeping and croaking of various frogs and toads. 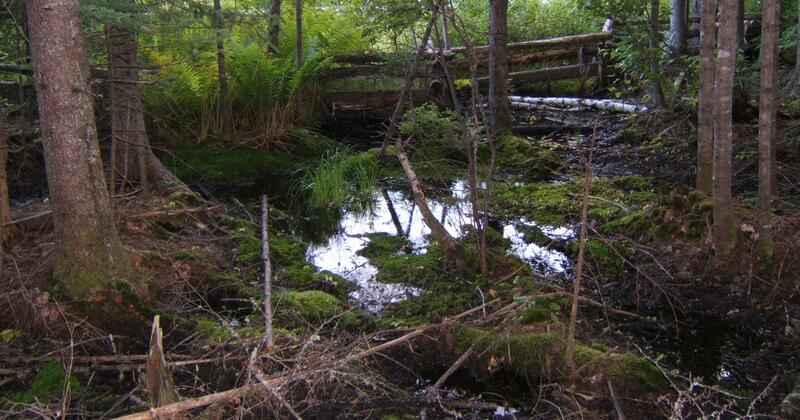 ‘Vernal pools’ are temporary accumulations of water in depressions. This water may originate from snow accumulations or from rising water tables. The word ‘vernal’ comes from the Latin ver meaning spring. Although vernal pools are ephemeral, they create habitat for many animals, including insects and amphibians, often at critical life stages. Amphibians such as Wood Frogs (Rana sylvatica), Spotted Salamanders (Ambystoma maculatum), and Blue Spotted Salamanders (Ambystoma laterale) depend on vernal pools for laying their eggs and development of tadpoles. 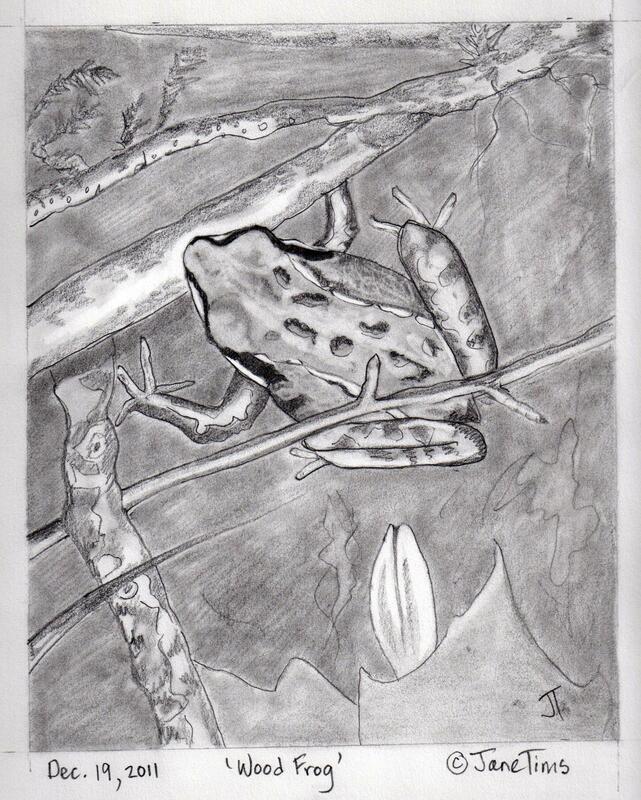 Other amphibians you may encounter in a vernal pool include Spring Peepers, Grey Tree Frogs and Bull Frogs. During a rainy night in late April or early May, you may be fortunate enough to observe the early spring migration of Wood Frogs and other species as they make their way to breeding locations. These frogs have remained all winter in hibernation and have unthawed in the early spring rains. Unfortunately, many must cross roads to get to the ponds and vernal pools where they will lay their eggs, and many become casualties of their attempts to cross the road. Published as: ‘an uncertain spring migration’, Spring 1997, Green’s Magazine XXV (3).